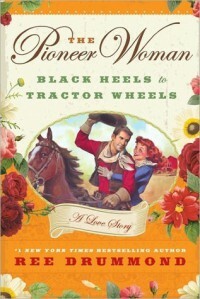 Requested this as a review copy, ages ago, because I was familiar with Ree Drummond's story from her blog. I like her recipes, and her photographs of a prairie life. Looks kind of alien to this city girl. So I was curious.But reading about her going gaga with love at first sight and melting for the Marlboro Man, was a bit much for me. It felt smug and simpering to read.I like reading recipes and seeing her photography better than being inside her head about her relationship.I think this wasn't a bad book, just not a good fit for me.